Nestling on the River Bandon, Kinsale emerged as a settlement in the sixth century and has seen many changes. 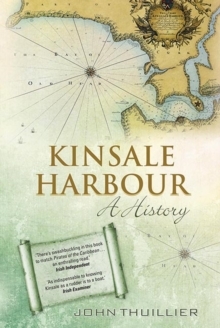 Its deep, secure harbour provided a safe anchorage and prospered during the seventeenth century's `golden age of sail', victualling ships bound for the West Indies and the American colonies, and facilitating trade with English and continental ports. Its military forts and naval base protected against the threat of foreign invasion, as well as pirates and smugglers who were rampant on the coast. Its bustling waterfront was thronged with fishermen in the nineteenth century and today is filled with tourists and yachting enthusiasts. John Thuillier tells of community suffering, seafaring under lofty masts and billowing sails and life ashore in the taverns and coffee houses, aboard ships and in `lewd' houses. 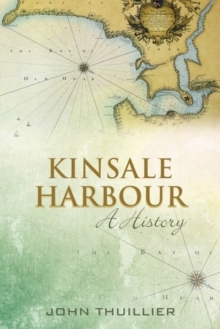 This comprehensive overview of Kinsale's seafaring tradition will be enjoyed by all who appreciate a whiff of salty spray and the adventure attached to ships voyaging to distant lands.